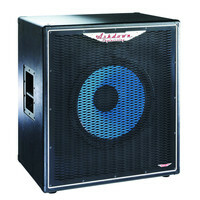 The ABM-115 300W Bass speaker cabinet features a single 15″ Ashdown driver in a precision-tuned plywood cabinet. All joints in the high-grade birch ply cabinet are properly screwed and glued covered in tough buffalo leather cloth and reinforced with chromed metal corners. The Ashdown-designed metal handles are guaranteed not to rattle even after years of use.This item is an ex showroom display model. There are light scuffs and signs of use around the casing. The original boxing and manual are not included.Otherwise the unit operates as new. This is a great opportunity to buy a fully functioning product at a discounted price supplied with a one year warranty. 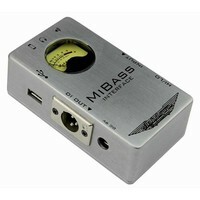 The MiBass Interface is a bass-specific multipurpose audio device with a multitude of useful applications. The Ashdown ABM-600RC-EVO IV Bass Head is part of Ashdowns fifth generation of class-leading pro bass amplifiers delivering a 9 band EQ next gen power stage and a host of other features including a variable valve drive pre amp section footswitch controllability and one knob dynamic compressor. This item is an ex showroom display model. There are light scuffs and signs of use around the casing. The original boxing and manual are not included.Otherwise the unit operates as new. This is a great opportunity to buy a fully functioning product at a discounted price supplied with a one year warranty. The Ashdown ABM-500 EVO III Bass Amplifier Head is an extremely powerful and versatile 575 watt amp head which delivers a huge tone with plenty of advanced tonal shaping options. 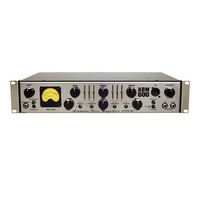 With a unique hybrid design the ABM-500 offers unique valve warmth whilst the SpeakON/TS combo outputs allow compatibility with a range of cabinets (4 Ohms minimum). Featuring an on board 3-band EQ adjustable shelving one knob compression sub-harmonic generator and input VU metering the ABM-500 EVO III is perfect for gigging bass players looking for a compact and adaptable bass head. Please note this item was returned unwanted from a customer. The original boxing is scuffed and all the seals are broken. Otherwise the unit itself looks and operates as new and has only been used a couple of times.This is a great opportunity to buy a fully functioning product at a discounted price supplied with a one year warranty.Software bundled with the original new product may have been registered or may no longer be included. 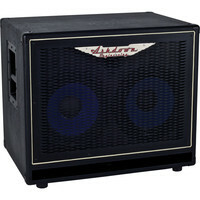 The Tourbus 10 gives you Ashdown bass tone and advanced features wherever you need them whenever you need them. Great for rehearsing or getting a band together perfect for warming up backstage this amp is your ticket to the best in budget bass amplification. 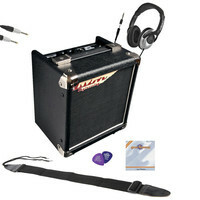 This amp also comes with a top value exclusive Gear4music bass accessory pack so you have everything you need to get started straight away. Perfect for smaller gigs the CTM100 pairs the CTM300 pre-amp with an all-tube 100 watt power section. 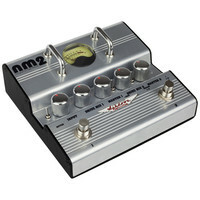 The Ashdown NM2 dual distortion stereo effects pedal has been specifically designed from the ground up with Nate Mendel of the Foo Fighters making this his ultimate pedal for bass distortion. 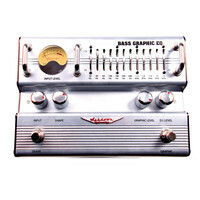 It features two output jack sockets each providing the same level of bass signal plus individually adjustable mixes of two separate and very different distortion effects one for each pedal. The Ashdown B-Social delivers a powerful 75W stereo desktop bass amp with bluetooth connectivity dual concentric 5 drivers USB DAW connectivity and a range of other features. 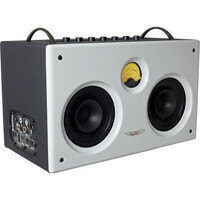 Straight out of the box B-Social delivers signature Ashdown bass tone with a huge amount of possibilities. Roam at home with B-Socials bluetooth connectivity that will allow for cable free jamming. Finished in a stylish high gloss white the B-Social Bass Amp System looks great and will fit right into your home setup. 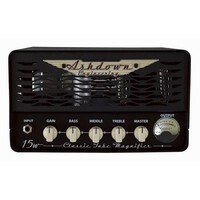 Ashdown have been one of the biggest names in bass amps for a long time now. This popularity is not for no reason as both their amps and cabinets are built to incredible standards with excellent sound that will suit nearly any style. 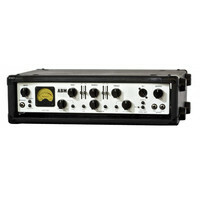 This particular cabinet is part of their ABM line of amps which can handle up to 300w in a compact 2×10″ casing. 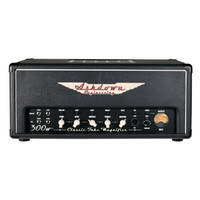 The Ashdown RM-MAG-220 is a new stylishly designed bass amp head that is packed full of power and features. 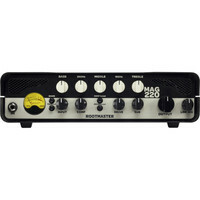 The RM MAG 220 is smaller than many other amp heads and this allows it to be more portable and travel friendly allowing it to be the ideal partner to gigs of all kinds from pubs and clubs to arena tours. The Ashdown 12 Band Graphic EQ/DI Pedal is the answer for all bass players looking for the iconic Ashdown tone in a portable and versatile package. With an advanced +/- 15dB 12 band graphic equalizer the EQ/DI Pedal provides a huge amount of tonal shaping capabilities whilst the DI output provides a direct output to connect to a P.A system. Also incorporating a VU meter for real-time input monitoring and additional graphic level DI level Shape and Input controls the Ashdown 12 Band Graphic EQ/DI Pedal is ideal for any bassist looking for professional tone shaping in a compact and affordable package. An Ashdown CTM Preamp with an all-tube power section rated at 15 watts. Inspired by classic tube heads of the past but brought into the present with modern features and reliability in mind the Classic Tube Magnifier 300 or CTM 300 is a tone monster thats ready for the road. For the Bass player who craves a lightweight cab solution but wont compromise on tone Ashdown present the ABM NEO 408 Bass Cabinet.This item is an ex showroom display model. There are light scuffs and signs of use around the casing. The original boxing and manual are not included.Otherwise the unit operates as new. This is a great opportunity to buy a fully functioning product at a discounted price supplied with a one year warranty. 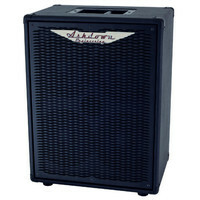 The Ashdown ABM 410H 4 x 10 Bass Amp Cab is designed to work in conjunction with the ABM range of bass amp heads. The ABM-410H is rated at 650W RMS and is loaded with 4 x 10″ 8 ohm Ashdown BlueLine drivers plus a switchable high frequency horn (Hi Low Off). The blue speaker cones give this versatile cab a striking look.